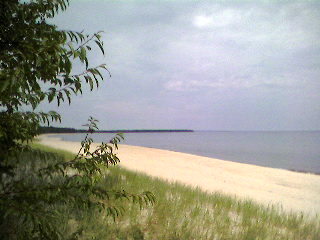 No surf on Lake Superior today, just very nice views! Quiet and peaceful here in the "Catfish Capitol" (of what I'm not sure). Met some nice folks in Adolph who warned me of deer, so I stopped early at a good motel.